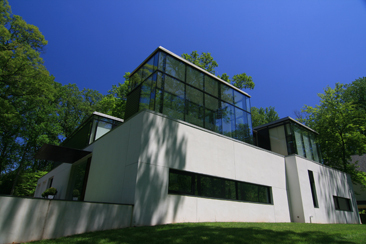 Stunning modern home constructed following a unique design utilizing vast glass panels to afford incredible views and light. The home offers open rooms for entertaining and it is easy to notice the quality of construction and the effective use of steel and glass. This provides an incredible environment for relaxing, entertaining or just simply enjoying this home that could pass as a work of art.